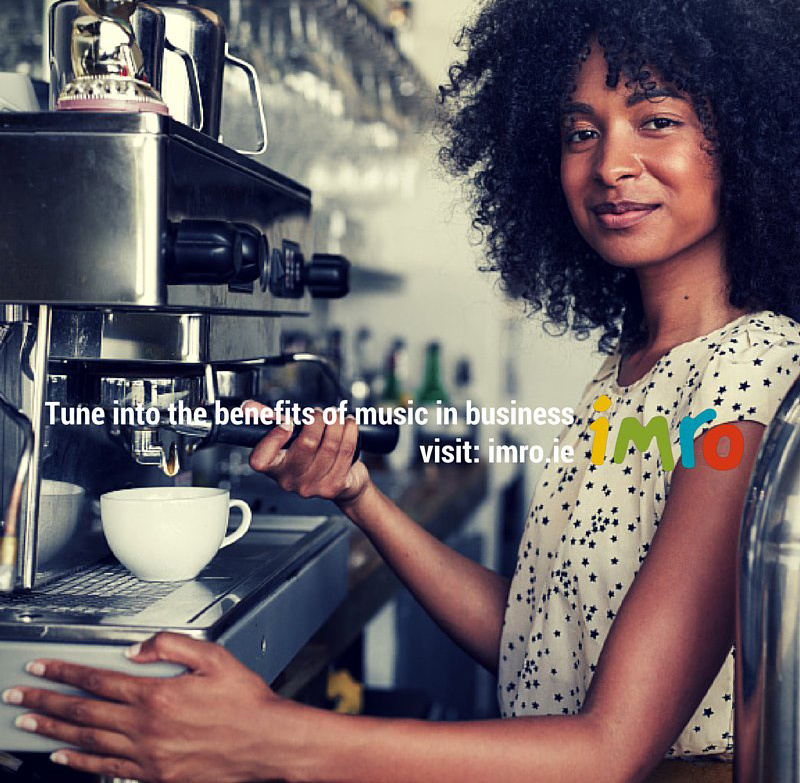 A Dual Music Licence from IMRO gives you access to a vast repertoire of music that you can use to transform and add value to your business. Music has the power to relax, enhance and entice. Consumers and employees enjoy better experiences when they’re surrounded by music. and the other covering the public performance of sound recordings on behalf of record producers and performers. As of 1st January 2016 onwards, one Dual Music Licence covering both of these copyrights is now administered by IMRO providing a quick and efficient way for your business to get the permission it needs to play music in public. Fill in your details below and a member of our Customer Service Team will be in touch to discuss how we can make music work for your business. 1. Select the business classification below that best describes your business operation. 4. A member of our Licensing Department will then contact you directly regarding your licence requirements and individual annual royalty charge. Please submit your contact details and a member of our Licensing Department will be in contact with you. TV/Radio or any other electronic apparatus in a workplace e.g. office space, canteen, rest room etc. Featured music events – Musicians, Discos, dances, concerts etc. TV/Radio or any other electronic apparatus in any workplace area e.g. office space, canteen, recreation room, gym etc. Featured music events – Musicians, discos, dances, karaoke etc. Do you currently hold an IMRO licence but need to amend your performance details? Complete our Customer Declaration Form so we can re-calculate your licence fee.